LEGENDARY RANGER PERFORMANCE. DIESEL POWER. LEGENDARY SMOOTHEST RIDE & HANDLING: Designed for all-day riding comfort. The Ranger Diesel is designed for all-day off-road comfort, so you can ride longer and work harder. 10 in. up-front suspension travel and 10 in. independent rear suspension travel to keep the ride smooth. A full 12 in. of ground clearance to navigate the toughest terrain. 10 in of tilt steering adjustment. 10 gal. diesel tank with driver’s side access for easy fill-ups. 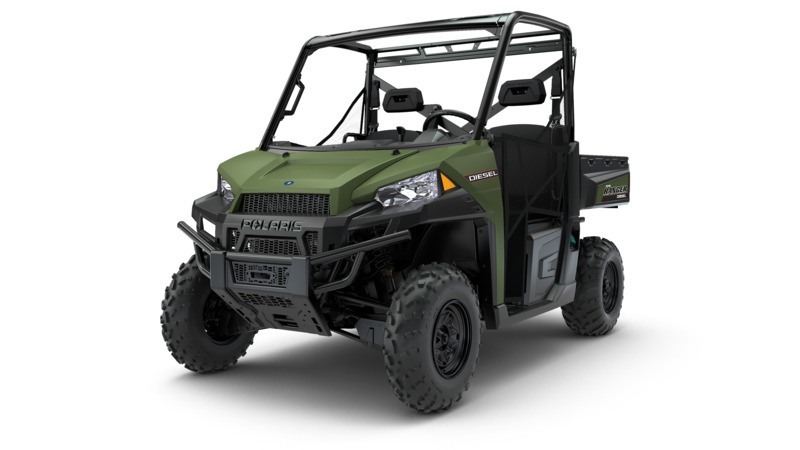 THE DIESEL POWER ADVANTAGE: 1,028 cc Kohler Diesel engine. 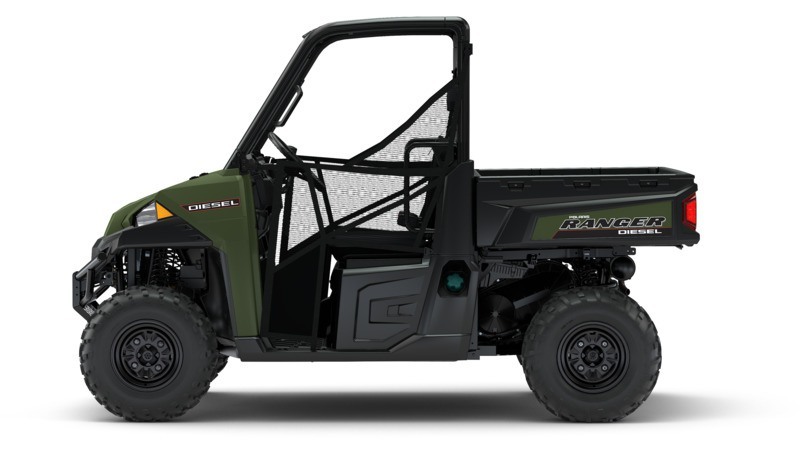 The Ranger Diesel is powered by a durable, heavy-duty, high-performance diesel engine, giving you the power and reliability you need to take on the biggest jobs. 3-cylinder, 1,028 cc Tier 4 compliant overhead cam liquid cooled Kohler engine. Indirect injection for reduced combustion noise. Massive 110 amps of alternator output for ultimate accessory integration. True On-Demand All Wheel Drive to give you the traction you need, when you need it. HAUL MORE. WORK HARDER. 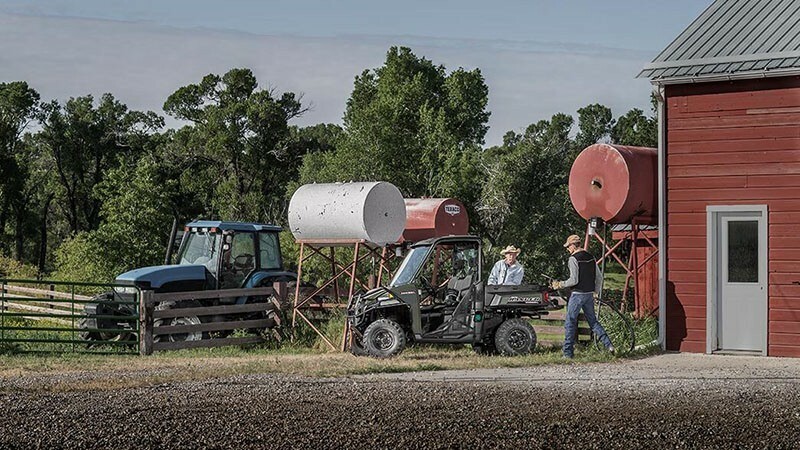 GET MORE DONE: Class-leading payload and towing capacity. 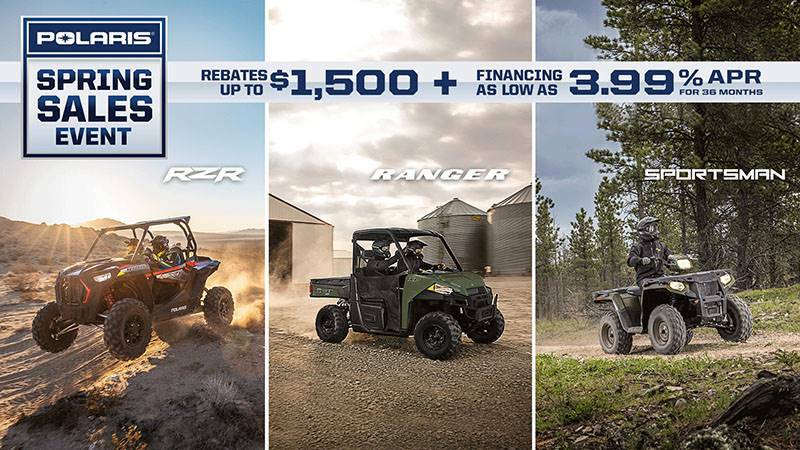 The Ranger Diesel’s best-in-class payload and towing capacity sets the standard for hardest working diesel performance. Massive 2,000 lb. towing and 1,500 lb. payload capacity. Standard 2 in. receiver hitch. Gas assist dump box with 1,000 lb. capacity and room for a full-size pallet. Convenient integrated storage options. Premium PXT tires and durable rolled steel wheels for ultimate traction.